Junior fans from Wellend Park Academy in Market Harborough were chosen from amongst four schools in Leicestershire for being the most active and engaged in the campaign, which invites children to speak up against bullying. The reward was an invite to the Tigers’ Scout’s Day as special guests, before their game versus Worcester Warriors. 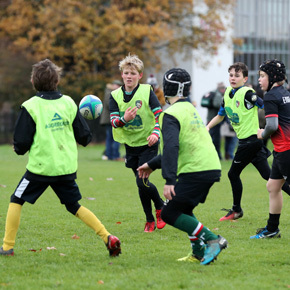 The day involved the children enjoying a very special rugby session from the Leicester Tigers Community Team, before joining the annual Scouts Day fixture, whereby local scouts came together to partake in a range of fun pre-match activities. The Wellend Park Academy group then watched the match and went onto the pitch at half time, where a special presentation held by Pablo Libreros, Growth and Innovation Director at Aggregate Industries, congratulated the school on their endeavour during Anti-Bullying Week and the ‘Give Bullying the Boot’ campaign. 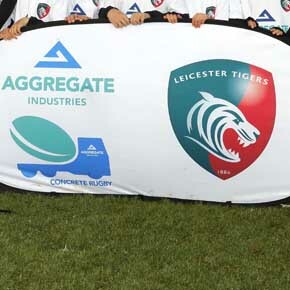 The ‘Give Bullying the Boot’ campaign is a joint venture between Leicester Tigers and Aggregate Industries, aimed at educating local school children about bullying and how to deal with it. The campaign constitutes part of the two organisations’ Concrete Rugby initiative, which promotes a healthy lifestyle, team work and self-confidence in young people, through key rugby skills. The programme looks set to reach over 1,000 Leicestershire students aged 11 to 14 over the 2017/18 school year. Jason Button, Head of PE at Wellend Park Academy, commented on how the group loved being involved in the match day and revelled in getting stuck into the activities. “Campaigns like Give Bullying the Boot play a huge role in shaping youngsters thinking so we hope to continue to educate pupils on bullying and the effects it can have,” he added. 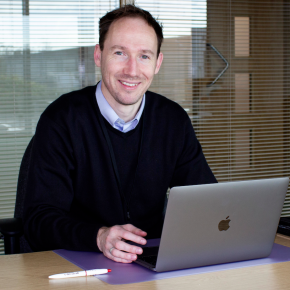 François Petry, CEO of at Aggregate Industries, said: “Bullying is an incredibly difficult subject to talk about, so it was fantastic to see pupils from Wellend Park Academy speak up about their experiences to help others.